5 Lost ‘Muppet Show’ Sketches You Probably Haven’t Seen! A few of the segments were mere time-fillers but most of them were as same high-quality as the rest of the program. The Muppet Show DVDs feature the full episodes, complete with UK spots, but for the most part these have never been broadcast on American TV before. Rowlf was one of the very first Muppets, but by the time The Muppet Show aired, he’d been relegated to the supporting cast. In his UK spots, though, he got his time to shine —many of the UK Spots actually feature him singing while tickling the ivories. “Cottelston Pie” is originally from Winnie-The-Pooh — it’s a song Pooh would sing whenever he got confused — and it’s a cute, jaunty song. 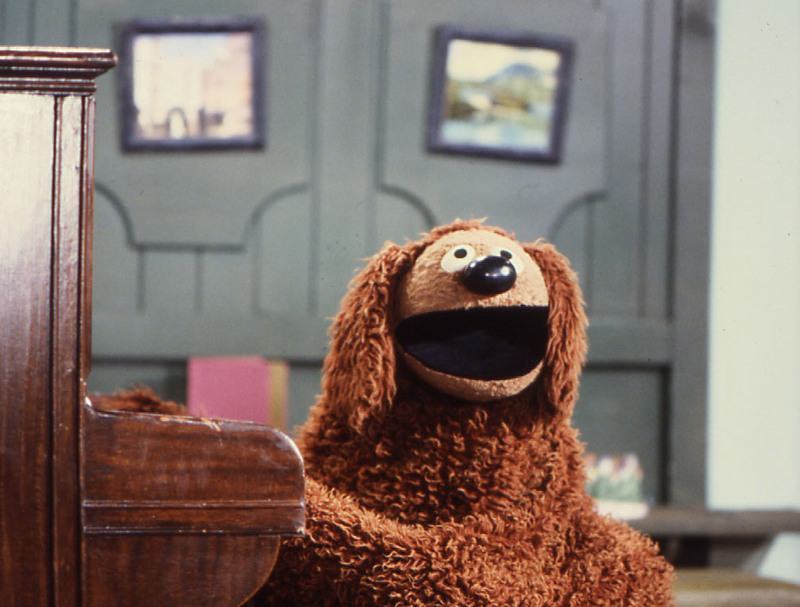 Rowlf’s even-more-laid-back-than-usual demeanor makes it feel intimate, like he’s right there playing the old piano in your family room. This song was also sung at Jim Henson’s memorial service by Frank Oz (as Fozzie Bear). In the interests of not making every single Unicorn Booty reader cry, I have not included that particular link. Everyone remembers the “Veterinarian’s Hospital” sketches starring Miss Piggy, Janice, and Rowlf, but in the episode with Cloris Leachman, the pigs take over the show and turn it to Vegetarian’s Hospital. While the sketch never made it to the US, it’s just as good as the other sketches, featuring the same terrible puns you’ve grown to know and tolerate. Despite being a scolding moralist with his distaste for the lowbrow, Sam the Eagle has always been one of my favorite characters. You might think he’d be fine with this song from Kurt Weill and Bertolt Brecht’s The Threepenny Opera, but I honestly can’t see Sam being a Brecht fan. I figure that he’d think of Brecht as the beginning of the end of highbrow theater, what with Brecht’s experimental nature and the fact that Threepenny features a murderer as its main character. The organ player Dr. Teeth, though totally kills it with this funky version or “Mack the Knife,” after “explaining” the song’s objectionable lyrics away. Kinda. One of the greatest things about the Muppets is how they can take a one-joke character and give him so much personality he becomes real. Beaker can only say “meep,” but he puts such emotion into meeping that he gives life to the Morris Albert favorite “Feelings.” It certainly helps that he’s backed up by Rowlf and some of the Electric Mayhem who put a little swing in it. And good on Animal for helping out once the audience rebels against the non-stop Meeping — Animal’s a good guy. So even though this was made by Jim Henson, it doesn’t have anything to do with the Muppet Show, and doesn’t even feature any Muppets. BUT it wasn’t aired on American TV and it’s absolutely hilarious, so there. Henson struggled his whole life with the idea that the Muppets and other puppeteering was for children, so he worked on a lot of experimental film for adults (If you want more of this work, check out The Organized Mind or The Cube). Time Piece (above) is probably the most accessible of his experimental work — and it’s awesome. Whatchagonnado, NOT watch something awesome? That’s silly. You’re silly.